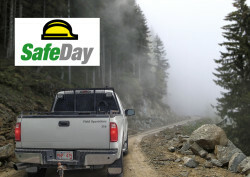 Each year, the International Labor Organization (ILO) marks April 28th as the World Day for Safety and Health at Work. In Canada today is the National Day of Mourning and in the United States, it is Worker’s Memorial Day. The ILO states that each year more than 2.3 million people die from work-related injuries and illnesses globally. Today is a day to mourn those who lost their lives on the job and it’s also a day to implement and improve safe work practices. With workplace safety top-of-mind this time of year, the theme of this year’s World Day for Safety and Health at Work is “Workplace Stress: A collective challenge.” This theme is intended to bring awareness to the impact stress can have at work and on the safety of your employees. At Blackline Safety, we echo the message of this awareness-building campaign, which serves as a wake-up call, for employers and their employees, on the importance of occupational safety and the impact work-related injuries and fatalities have worldwide. Our priority is the safety of lone workers—those working out of sight or sound from others. Did you know that there are more than 53 million people who work alone? Our technology provides the fastest emergency response to employees, specifically those who work alone, when an accident, injury or assault occurs on the job. For lone workers, stressful workplaces offer even higher risk for safety incidents on the job. Implementing safety programs that make a difference and monitoring the safety of work alone employees can reduce stress and save lives. Strides are being made globally to mitigate stress in the workplace and provide resources to help prevent stress and improve mental health. To supp ort the “Workplace Stress: A collective challenge” theme, we’ve created a new eBook that looks at the relationship between lone workers and occupational stress. 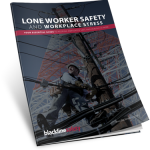 Download our latest eBook, “Lone Worker Safety and Workplace Stress—Your Essential Guide to Keeping Employees Safe and Healthy at Work” to get up to speed on what you and your employees need to know about workplace stress, mitigating stress for your lone workers and the impact critical incident stress can have on work-related injuries and fatalities.